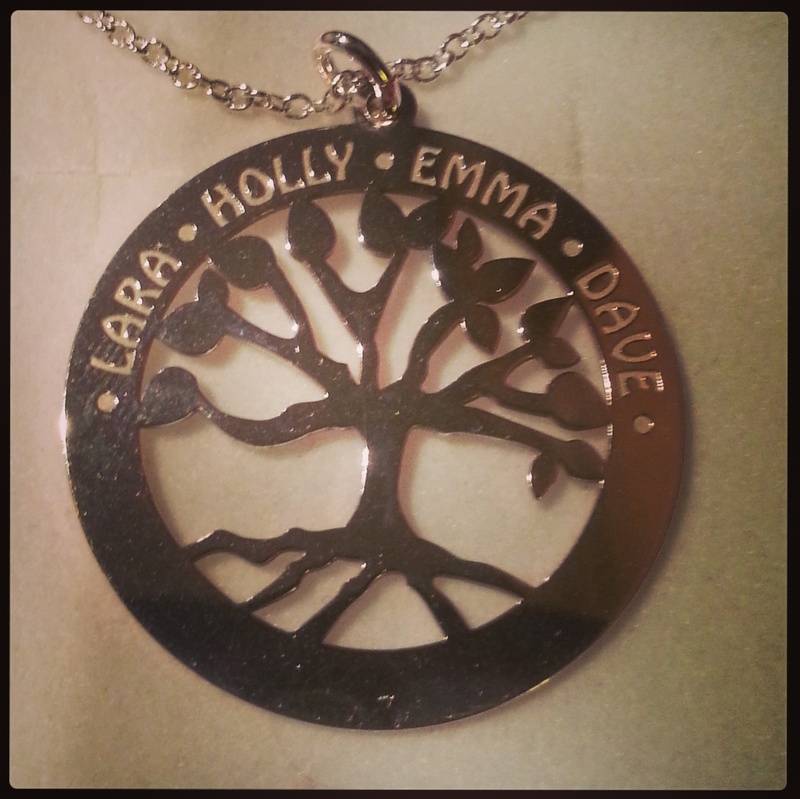 My two girls really spoiled me on Mothers day with hand-made cards and gifts but a couple of days later, a very special Mother's day gift arrived in the post from Kaya Jewellery - a personalised family tree pendant. Tucked away in this tempting little presentation box is a personalised silver pendant made especially for me to celebrate being a Mum! Kaya Jewellery make and deliver a wide range of beautiful Mum jewellery as well as personalised jewellery gifts for babies and children. From christening bracelets to eternity necklaces, if I had the cash, I'd order a whole host of pendants and bracelets and charms for me and my two daughters. 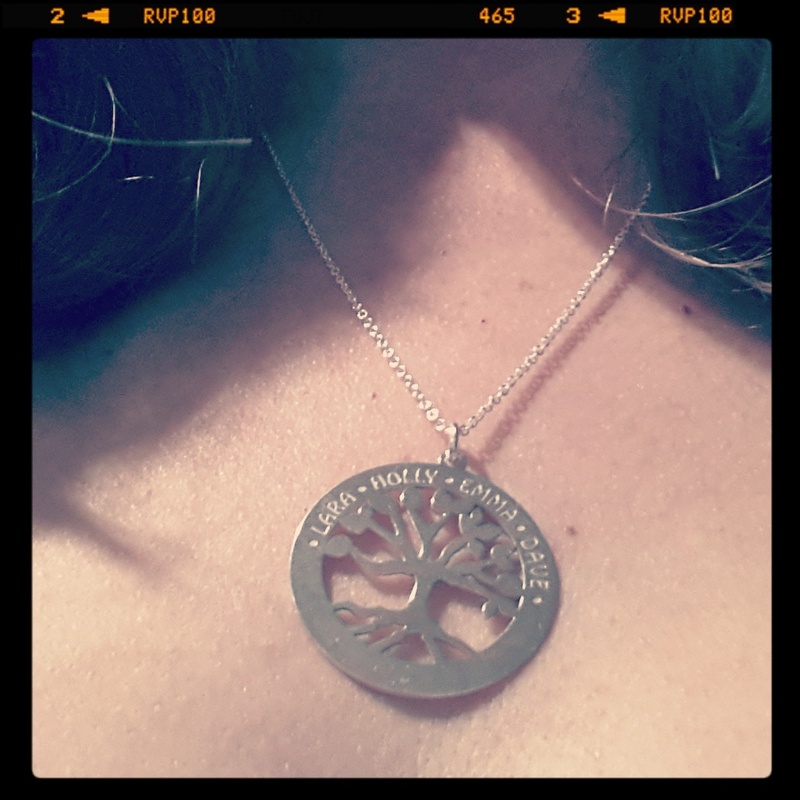 I was most taken by Kaya's Tree of Life and Family Tree pendants which both feature tree designs in a circular silver pendant. This Family Tree Necklace captures the magic of my family perfectly. It is made from Sterling Silver and can be ordered with three different lengths of chain. The pendant is about 1 inch in diameter and can be engraved with upto 6 names of your choice (there is a character limit) to truely personalise it to your family. I think this is a really treasured gift that, when I wear it, will remind me of my family at all times - it makes me proud to be Mummy! 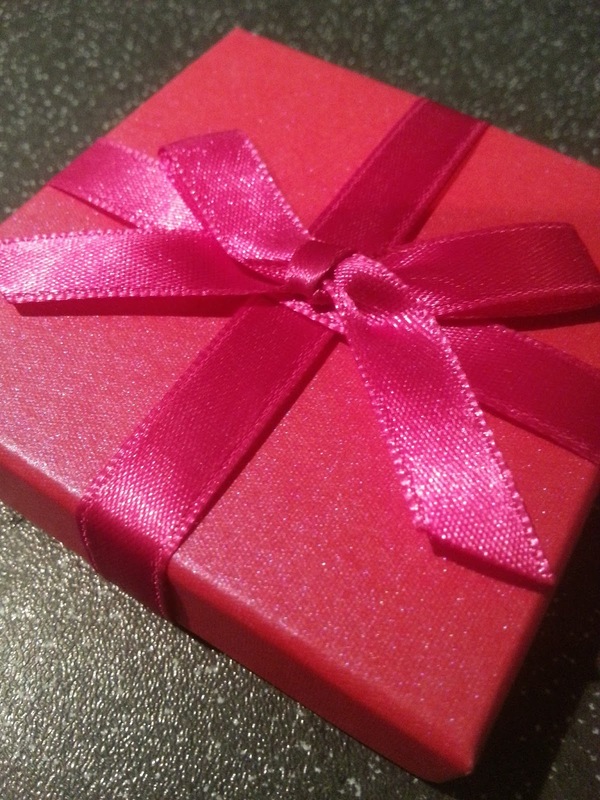 As Kaya hand make their jewellery to order, you can expect a few days between ordering and receipt of your personalised gift but mine was super quick and it is definitely worth the wait. I'm now very tempted to order a similar pendant for each of the girls as a special Easter gift. If you are on the lookout for matching Mum and Daughter jewellery (or even for three generations) then Kaya make bracelet and necklace sets specifically designed to be worn by multiple generations. Make your own personalised chocolate bar! Easter Bonnets, Nests, Eggs and More! Baby First Aid - Would You Know What to Do?